I am reading an email I’ve just got. “…You can call me for the interview, but bear in mind that I play golf every day and may not be able to answer. Best timing could be, when you see me finishing a game”, it says. The email has been sent to me by Robert “Robban” Andersson. A day before, this swede living in Malmö has played his 1,000th round of golf scored with Golf GameBook app. It’s an all-time record and a new milestone for all GameBook users. Two weeks later, I have taken a flight to Malmö. I wanted to meet Robban. The best way to meet this mysterious man, I have figured out, is to book a tee time with him. So have we done. We are standing on the first tee at Vellinge Golf Club, Robban’s home course, and just about to start a weekly competition I’ve been invited to participate in. Robban laughs out loud with Lars-Åke Nilsson, the chairman of the club. For a while, I thought that Robert Andersson is an alias or a test player of someone in our office. But that wasn’t the case. He played all of his rounds in Sweden and there were always other players playing with him too. But how could anyone play golf practically every day? How was that possible? After we saw that Robert had played his 1,000th round, I finally wanted to find out, if there really was a real Robert Andersson. We got his contact details from his GameBook profile and I sent him an email. Less than two hours later, he replied. Robert “Robban” Andersson really existed. And there he was now. A man of over one thousand GameBook rounds. A man looking a bit similar to Masters winner Craig Stadler. At the age of 56, he swang it smoothly, kept his ball on the low grass and played golf almost every day. “318 rounds in a year is my record, but now I’m ahead of that. If weather stays decent, I’ll set a new record this year”, he says. Robban registered to Golf GameBook in 10th of May 2011 after having been using the competing Golf Shot app for scoring before that. 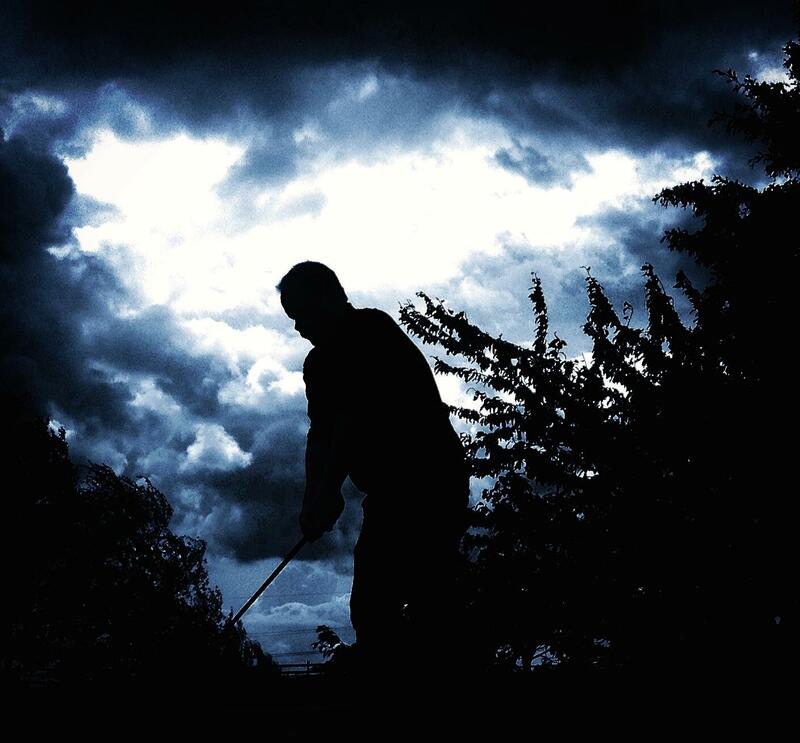 1,184 days later, in 6th of August 2014, he played his 1,000th round scored with GameBook. Despite the fact that in southern Sweden, where Robban lives, golf season lasts almost all year around, it was an astonishing achievement. 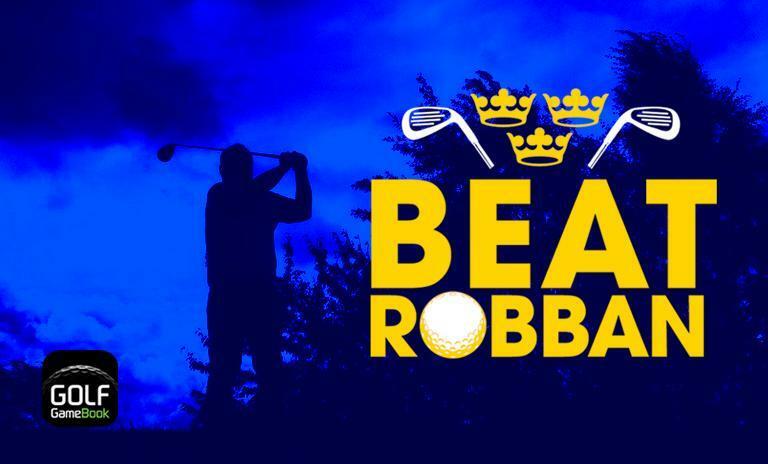 The number of golf rounds scored with Golf GameBook is not the only world record Robban has set. Once, he bought a ukulele, learned to play three chords and participated in an event where 1,547 people played the same song simultaneously with ukuleles for five minutes. “But we were beaten by Japanese for two or three years ago”, Robban laughs. At this point, you might be thinking that any golfer being in good physical condition and having the luxury of lot of spare time after retiring, could do the same than Robban. Well, you are partly right. Robban is in good health, and unlike most of his playing partners, he always carries his bag. But he’s not retired. Robban works as a production technician at Safegate, full-time. “Most of my rounds are after-work rounds”, Robban says. His working hours are flexible and like today, and on every Wednesday, he can take the morning off and play in his weekly competition at Vellinge Golf Club. “I could be in a little bit higher position in the company, if I preferred other things, but I prefer it this way”, Robban says. Robban doesn’t play a lot only. He also plays some excellent golf. A few years ago he had a handicap of 1,9, plays now with 4,5 and records 70 shots as his season best. And he really likes to compete. Almost half of his rounds are played in different kinds of competitions, half of the rest are official practice rounds affecting his handicap. While eating my after round lunch I ask Robban, if he considers himself being competitive. “Yes, yes I do. I think the birdie on the last hole proved that”, Robban says and smiles. He seems to be in contention in every competition he takes part in and wins seasonal rankings approximately every other year. But he just doesn’t get used to it, or get exhausted. He just likes to play. “I don’t know. I think it’s mostly that you are playing against yourself. Even if you are playing a match, you are still playing against your own record. At the same time, I never play by myself. I have so many friends I can always find someone to play with”, he says. Lunch has been eaten and photos are taken, and I feel priviledged for having got a chance to meet our record-holder, this gentle and humble man and one of the greatest ambassadors Golf GameBook has ever had – without us even knowing it before. But this story doesn’t end here yet. Our new competition for all Swedish golfers has yet to be launched. It begins in the 1st of September and lasts for two weeks. It has a name too: Beat Robban. Play at least 10 rounds scored with Golf GameBook app within the given period to get into the draw. After the contest period one winner will be drawn. Play more 18-hole rounds of golf within the given period than Robert “Robban” Andersson. If there are more than one player with more rounds than Robban, the prize will be drawn between those players. Golf GameBook will cover the “golfing expenses” for the best competitors by providing the following prizes. All registered Golf GameBook users in Sweden are eligible to take part in the competition, automatically.